Cleaning large vessels is an arduous and time-consuming task. On each voyage the hull accumulates significant amounts of fouling, barnacles and encrustations. In tropical waters the problem is amplified due to the higher presence of organisms that attach themselves to ships. Fouling creates extra friction that affects the speed and fuel consumption of the vessel, impacting CO2 and SO emissions. For this reason, shipowners spend a considerable amount of money every year on cleaning their fleets. Ideally, to save as much fuel as possible, a ship should be washed once or twice a year, depending on the rate of biofouling growth. A VLCC tanker (the largest class of commercial vessels) burns 610 barrels of fuel in just 24 hours. The fuel cost is approximately $30,000 per day. On a 15,000-mile cruise, the VLCC tanker, with a clean hull, makes the journey in about 25 days. If the ship’s hull is covered with marine growth not exceeding 1.3 cm, the same trip will take 28 days. The difference is the loss in speed of over 2 knots, equivalent to 3 days of travel and an additional fuel cost of $90,000. This issue does not only apply to commercial shipping, as military vessels strive to operate at maximum efficiency at all times, with lives potentially being at stake. The overall economic impact of hull biofouling on a mid-sized naval surface ship (Arleigh Burkeclass destroyer DDG-51) has been analysed in a study by M.P. Schultz et al . A range of costs associated with hull fouling was examined, including expenditures for fuel, hull coatings, hull coating application and removal, and hull cleaning. The results indicate that the primary cost associated with biofouling is due to increased fuel consumption attributable to increased frictional drag. The costs related to hull cleaning and painting are much lower than the fuel costs. 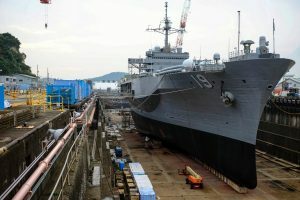 The overall cost associated with hull fouling for the Navy’s present coating, cleaning, and fouling level is estimated to be $56M per year for the entire DDG-51 class or $1B over 15 years. Per legislation, a vessel has to visit a dry-dock at least once every five years, and this cleaning process is time consuming, polluting and expensive. Meet WhaleWashing, a startup that has developed a new hull cleaning technology that removes all residues in one go, bow to stern, combining high pressure water jets, hi-tech brushes and advanced robotics controlled by the data coming from digital sensors, for a quick and efficient process. With WhaleWashing, the time invested in vessel cleaning turns from days to mere hours, with the machine able to clean a 200-meter ship in two hours. The pricing is highly competitive – even lower that in-water ROV/divers – and drastically faster, reducing the downtimes and the overall costs. 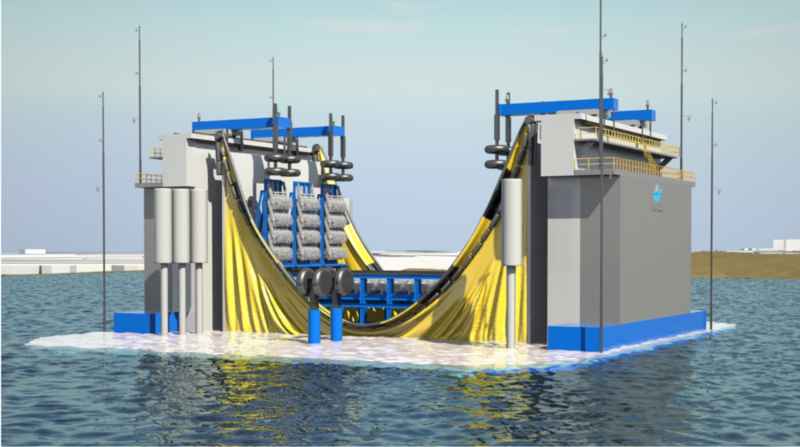 From an environmental standpoint, the WhaleWashing solution includes a filtration system that purifies the toxic elements coming off the hull and avoids any leakage into the seas, for the benefit of the ecosystem. With such a system in place, the maritime industry would drastically reduce the time and costs associated with vessel cleaning and reduce pollution and greenhouse gas emissions. Shipping companies would be encouraged to have steadier – now more affordable – cleaning schedules, which would lead to more efficient ships and less fuel consumption overall. The benefits would be there for the budget & the planet both. Startups are often faced with difficulties in their entrepreneurial journey. WhaleWashing, much like all entrepreneurs, has faced plenty of challenges, but things are looking up: the Port of Rotterdam has opened an official project with them and the Municipality of Rotterdam has expressed interest in being the first worldwide to be able to utilise this technology. WhaleWashing, a name to keep in mind for the future. Schultz, M. P., Bendick, J. A., Holm, E. R., & Hertel, W. M. (2011). Economic impact of biofouling on a naval surface ship. Biofouling, 27(1), 87-98.